Albert Jallands is remembered on the Methodist roll of honour in Bottesford, and is one of the men on the Bottesford ‘church list’ of WW1 Servicemen. Albert Edward was born in the third quarter of 1897 and baptised on 22nd May 1898. He was the fourth son of Joseph and Emma Jallands. His father was born in 1860 at Dunston, Lincolnshire, and his mother (nee Asher, then Ward) in 1859 in Bottesford. Emma and Joseph married in 1886. In 1891, they lived In Bottesford at 6 Mill Lane, Bottesford. By the date of the 1901 census that had moved to Easthorpe, where they lived at 6 Muston Road, moving next door to 5 Muston Road by the time of the 1911 census. The children of Joseph and Emma were Walter, Sarah, Annie, Ernest, Herbert, Edith Emily, Cecil Henry, Ida Ellen, Albert and Hilda. In 1911, as well as supporting their step-children, Joseph and Emma were also looking after their grandson Cecil Henry (age 2) and 1 month old granddaughter, Ida Ellen. The family grew up with working horses. Joseph described himself as an agricultural labourer in 1891, in 1901 as a ‘horseman on farm’ and in 1911 as a waggoner. According to the census in 1911, 13 years old Albert was a scholar in Bottesford at this time. He would not have reached 18 until 1916. Unfortunately Albert Jallands’ service record has not been found and like many it could have been amongst those destroyed in WW2. From his medal record we have the following information. 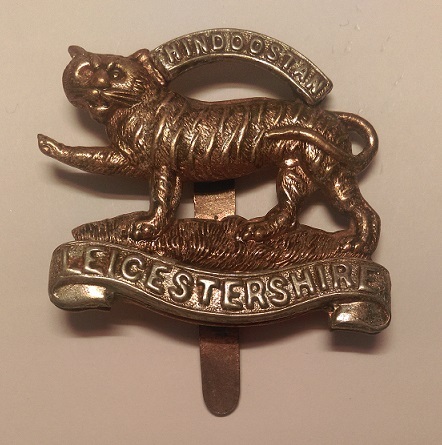 Albert served in the Leicestershire Regiment. He was a Private and his service numbers were 2964 and 240873. He is remembered on the Methodist roll of honour in Bottesford. He was awarded the Victory Medal and the British War Medal. In 1922, Albert lived with his brother Walter at City Asylum, Porchester Road, Mapperley Nottingham as a living-in member of staff. He successfully completed a three-year training course in mental nursing at the city mental hospital, Nottingham, in 1925, and was awarded a Bronze Medal on completion of the Royal Medico-Psychological Association examinations for proficiency in mental nursing (Nottingham Evening Post, Thursday 29th October, 1925). Albert married Gladys Harris (b.6th June, 1900) in 1926 in Nottingham. In 1929, the couple were living at 93 Hayward Road, Mapperley, with Evelyn May Harris, probably Gladys’ sister. He died in 1966 at Basford, Nottingham, aged 69. Two of the Jallands brothers, Walter and Albert, were members of the nursing staff at the Nottingham City Asylum during the postwar years. A brief account of the hospital is given by county asylums.co.uk. The hospital, principal architect G.T.Hine, dated from 1880, to replace the Sneinton Asylum which opened in 1812, the first proper county asylum in England and Wales. It did not close until 1994, and there is still a modern medium-secure forensic unit on-site. The asylum chapel is a Grade-II listed building, and has recently been undergoing restoration to make the building weather-proof and secure against intrusion, vandalism and pigeon infestations (Nottingham Post, March 24th, 1914). 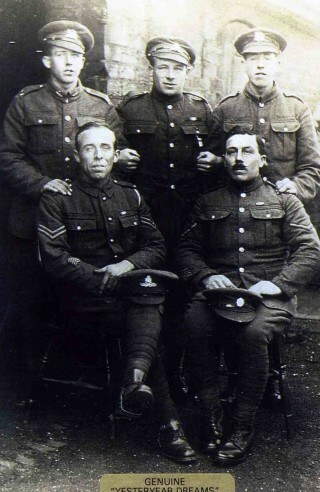 Few details of Albert Jallands' military service have been found.